Though he's known as a pioneer of interactive storytelling to adventure fans of The 11th Hour, Tender Loving Care, and Point of View, writer and director David Wheeler has also been busy making AAA games such as Ghostbusters and Medal of Honor in recent years. Now the Kickstarter campaign for The 7th Guest 3: The Collector has finally brought back the old Trilobyte dream team of Wheeler and Rob Landeros. The occasion gave us an excellent reason to chat with Wheeler about his lengthy career and his involvement with the new game. As we discovered, the man who may have helped paved the way for companies like Quantic Dream and Telltale not only has a lot to look back on, but also a lot of ambitious plans for the future. Ingmar Böke: Hello, David! I did an interview with Rob Landeros last year, and of course I asked him if you would ever work together again, as it's no exaggeration to say you were a dream team of interactive storytelling back in the day. At the time it seemed very uncertain from what he said that it would happen. How did you get back together again? David Wheeler: Well, for many years we tossed around the idea of doing a third sequel or third version of The 7th Guest. We actually started up a version of it in, I think, 2003 maybe. We mapped out the original concept for The Collector. But it was hard getting things going in those days because most publishers were pushing away from FMV and the cries that “FMV is dead” were pretty well heard and it was like a self-fulfilling prophecy. And Full Motion Video was the sort of central part of our work and without it, it was very difficult. So we died off back then with the concept of doing The 7th Guest part 3 and Rob and I went in different directions. We had started our company in Canada, which was Digital Circus, and we produced Point of View there. And then I got kind of fed up with publishers and I kind of quit the game business completely. Rob went into expanding his web design business and I went in a very different direction. I did a very large project, which was a science museum, and I did 88 interactive exhibits for a science centre and it was very well received. It took me quite a while to do that but what I did was bring a lot of my story-oriented thoughts to displaying and explaining science and it was quite successful. Then I did some human rights work for a couple of years, basically again using my interactive experiences. Then I got totally back into the game business; I was seduced back by a very good friend of ours. I became content director for Vivendi and oversaw all of the content, especially from a story point of view, for Sierra and Vivendi Universal. Then I went to Electronic Arts and was a creative director there and I was invited to create a new IP. They didn’t want to do an interactive movie, but they wanted me to create a shooter game. That was fine; by that time I had a lot of experience in that sort of thing. I pitched an idea based on a book idea of mine and they really liked it, so we developed it for a while but then the economy went sour and they decided they didn’t want to do any new IP. So they asked if I’d work on Medal of Honor – this was 2009. So I worked on bringing it from World War II to modern day and it was very successful; I think it almost tripled the sales from the previous instalment. But I left before it was finished; I sorted out all the story stuff and the cinematics and so forth. Anyway, the impetus to get back together with Rob really started when he restarted Trilobyte Games as his own company and put out The 7th Guest and the The 11th Hour (on iOS). The 11th Hour was the first video game I directed then and I was working with Rob; he was of course the designer and that’s how we first met and got along so well together. Anyway, he was releasing those and he approached me with the idea “What about doing Tender Loving Care?” because although I directed The 11th Hour, I have no ownership of that. That was all Trilobyte Games, whereas with Tender Loving Care, Rob and I own that together. So we collaborated a little bit on that; his company did all the work and I just sort of kept an eye on it and did a little bit of consulting on it, and I knew he was brewing this idea of doing The 7th Guest part 3. We were not physically in the same place – I was in Los Angeles, he was still in Oregon, but we started talking about 7G3 and he asked me if I would take part in this. We were talking about doing some story and some live action and I agreed, so I’m on basically as the writer/director of the project. That was a long answer to your question. Ingmar: That’s alright, it was very interesting. The Kickstarter campaign has been running for a while now. How satisfied are you so far with the crowdfunding? David: You know, honestly, Ingmar, I have not been able to pay any attention to the campaign at all. That’s only because I just took a new job and I started this week on Monday. There was a lot of prep before and stuff. So I’m now the director of the Media Sandbox at Michigan State University. Michigan State is a huge school with 50,000 students. A couple of years ago they came up with this idea, which I thought was a brilliant idea, to integrate their media arts program and created this thing called Media Sandbox. So they’ve been working on it for a couple of years and what they really needed, because it was run by people who were already there – academics and professors and so on – was someone with what they call "real world experience". It’s quite a beautiful program that combines cinematic arts, game design, journalism and advertising, and as it turns out I have done all four of those things professionally with a certain amount of satisfaction. They did a search for the right candidate and they ended up hiring me. So I moved to Michigan on Saturday. And I have hardly had time to have a meal I’ve been so busy. I did talk to Rob yesterday for a little bit. The Kickstarter is moving along as far as I know. I hope people get to see it, because it would be a fantastic game, in my opinion. I personally know some people who have gone to Kickstarter with less important projects who have gotten a whole bunch of money. 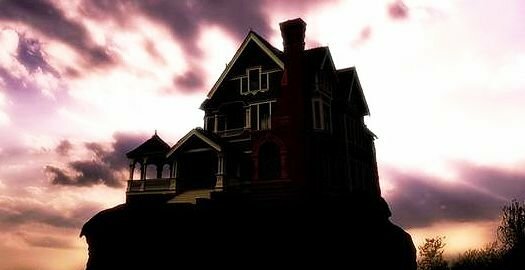 I think this project is important because The 7th Guest was a seminal game for the computer game business. Let’s hope that word gets out and it gets spread and they get at least the minimum amount of money.